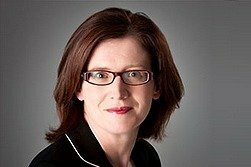 Helen Coughlan qualified as a Solicitor in 2004. She studied law in University College Cork and obtained a first class honours BCL degree in 1999. She trained with Matheson Ormsby Prentice, Solicitors, in Dublin. Her specialties include family law, medical negligence, employment law, and personal injury litigation. Helen is an experienced family lawyer and is a qualified family mediator. She is a trained collaborative law practitioner and is a founder member of the Kildare West Wicklow Collaborative Solicitors Group. She represents clients in the District, Circuit and High Court in relation to guardianship, access, maintenance, judicial separation and divorce. Helen is a member of the Family and Child Law Committee of the Law Society. She is a Chairperson of Mental Health Tribunals for the Mental Health Commission. She lives in Newbridge and is involved in various local voluntary bodies.